Tubes of rose quartz measure ¾ inch in length by 1/4 inch in diameter. 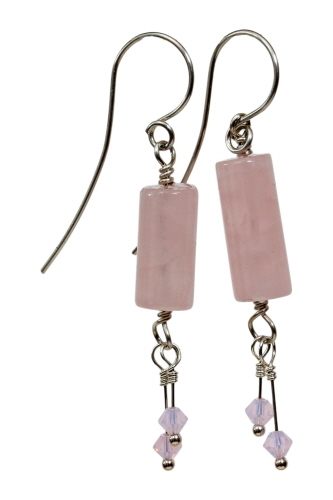 Accented with Swarovski crystal dangles in rose water opal. Earwire is hand formed using argentium wire. Earrings measure 2½ inches in length. Weight 0.1 oz each.